After some cryptic backstory scenes involving Jiro’s foster father, we work our way to the present, where fights between superhumans and dangerous beasts are becoming more commonplace. Jiro, who is hostile to these beasts, does some investigating with Kikko, who is more curious and sympathetic. The two have little to show for their efforts until off-screen events of geopolitical significance bring the issue to a head. So. Concrete Revolutio episode four. 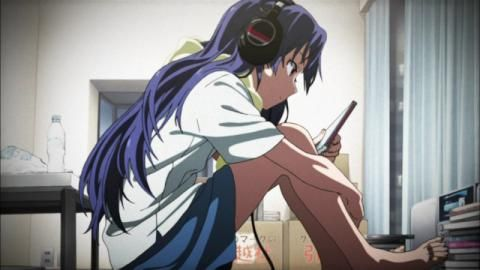 Since this is my first episode review of the series, let me lay down some ground work: I am not Japanese enough to fully appreciate everything that is going on in this show. 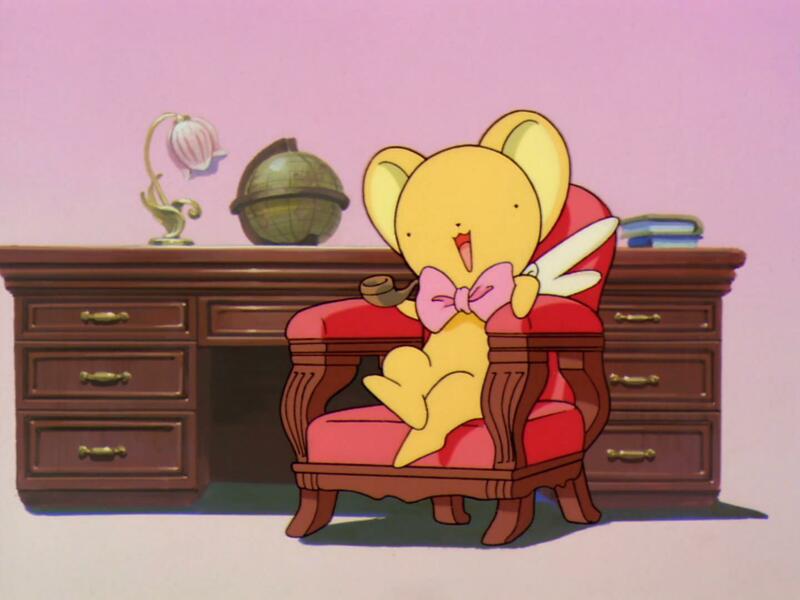 That is to say: I am not steeped in enough of Japan’s pop culture to understand the origins of the many tropes the show is blending together. 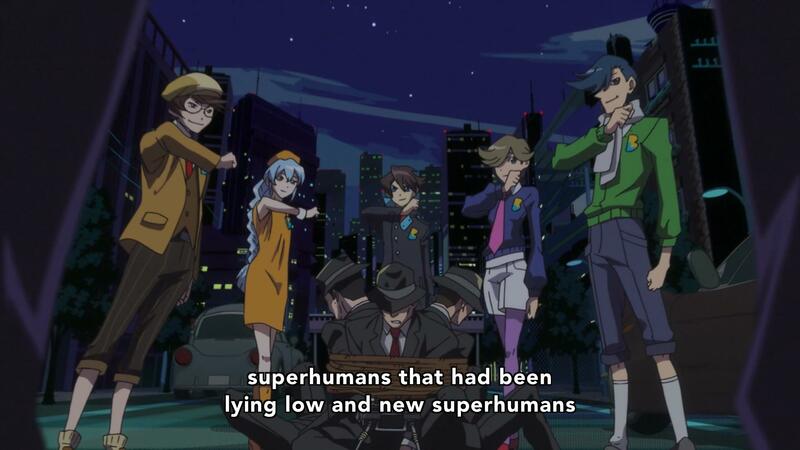 I have a hard enough time processing the number of colors onscreen at any given time – whoever translated the show’s subtitle Choujin Gensou as Superhuman Phantasmagoria knew what they were doing. In addition: I don’t have the memory to even keep track of what is going on in this show – or at least when everything is going on – I’ve had to start taking notes to make sure that I understand where everything falls in the timeline. to make it more clear that this scene occurred prior to story start? This all may sound like I’m not enjoying Concrete Revolutio, but – in fact – the opposite is true. I appreciate a little mental exercise from time to time, and I’m interested in seeing the trends in Japanese shlock to which this show is an homage. 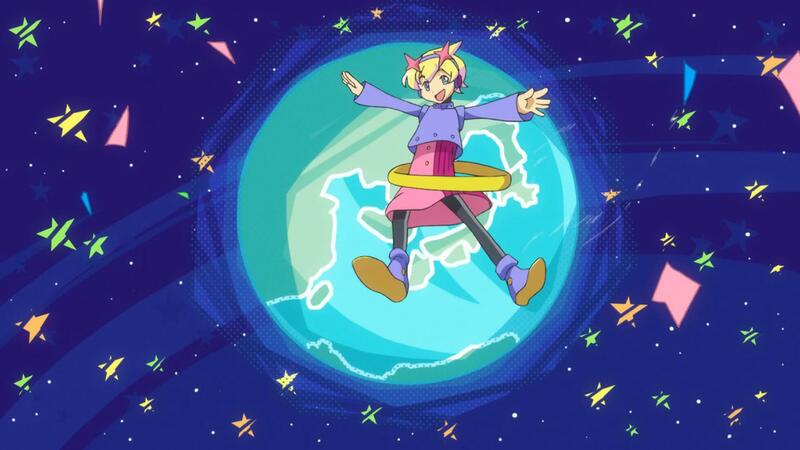 For example, the audience insert character so far has been Hoshino Kikko (in Japanese name order), who is herself a magical girl (and whose name strikes me as an obvious pun alternatively read as Kikko of the stars – three guesses what the dimension [or “layer”] she’s from looks like). Specifically, though, she’s a majokko, or witch girl, which is a sub-genre of mahou shoujo that seems to have waned in popularity of late. To be fair, I haven’t been paying close attention to the magical girl scene recently, but the most recent shows that I’m familiar with about girls with inherent magical powers (extra-dimensional or otherwise), rather than normal girls who are given powers and/or talismans, came out in two thousand and six (readers are encouraged to school me via email or in the comments). 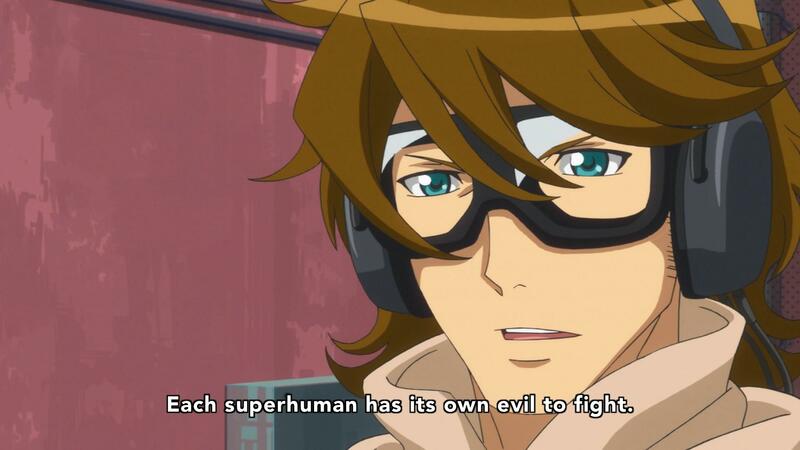 In addition to magical girl, we’ve seen other aliens and bug people obviously designed to be reminiscent of dudes in rubber suits, and robot people (who usually don’t even require a costume) – two of whom do triple-duty as robot people who are in fact forgotten super-weapons developed during THE WAR and who undergo gattai combination, but Concrete Revolutio has just been getting started. This episode? Kaiju – translated as “beasts”, probably because they need to use “monsters” as a stand-in for yokai (tangentially: Emi confirmed as kitsune, a shapeshifting fox yokai). 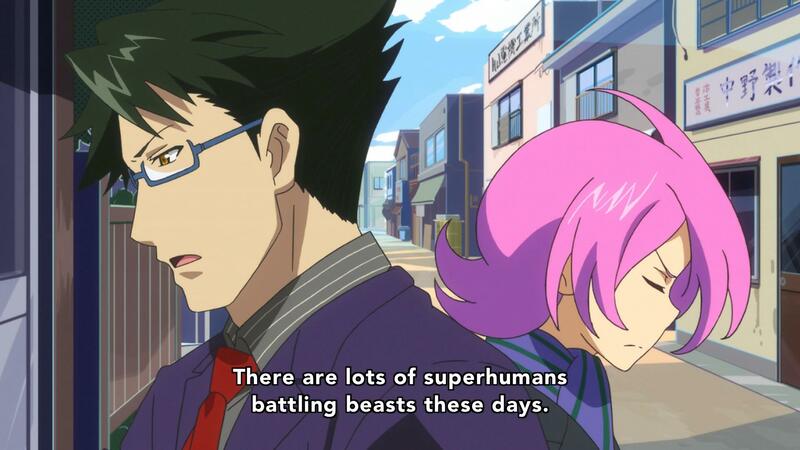 And not just kaiju (and yokai), but a parade of superhumans who are stepping up to fight the increasing quantity of kaiju that are springing up in the absence of Grosse Augen, each one of whom is probably an amalgam of references that are straight catnip to those fortunate enough to recognize them. Earth-chan. I think she’s a robot girl…? 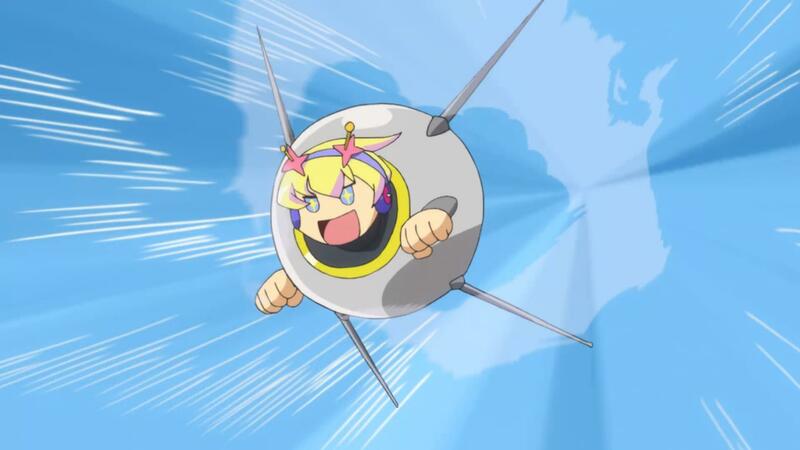 She has an awfully English name for someone who flies around looking like Sputnik, though. with matching badges on their eclectic period outfits. 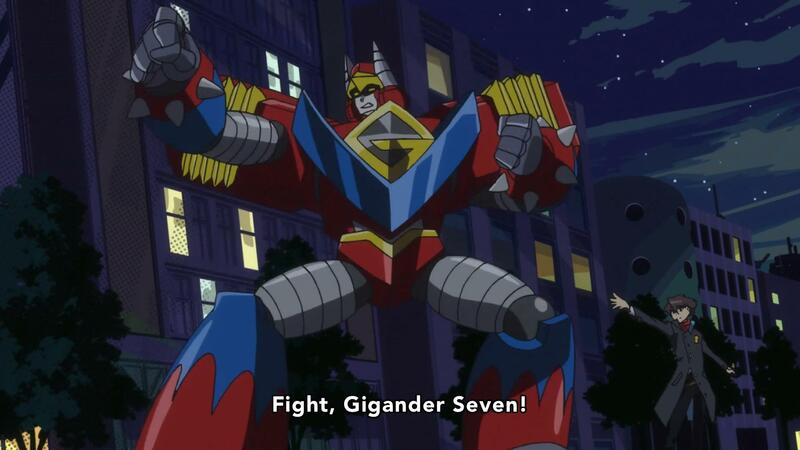 They even manage to work in Grosse Augen himself, fighting on the down-low in his S-planetarian body, as suggested by the ending of the first episode. At the same time, though, the show is still trying to adhere to its bizarre conservation-of-plot rule that was mentioned earlier. Jaguar discusses the nature of good and evil in his TV universe. It’s a shame that this discussion is cut short, as it seems like it could shed some light on how exactly this constraint functions. Jaguar is implying that regular superhumans (heh) have to stay in their metaphorical swim lanes, and don’t just go around fighting kaiju that happen to appear. After all, kaiju aren’t necessarily evil, per se, they’re just dangerous, and Jiro likens them to natural disasters (I trust we’re all flashing back to Pacific Rim). These recent kaiju, though, tend to be controlled by other forces already aligned against existing (or emerging) superhumans, and so these superhumans battle the beasts to get to their true foes. This calls the origin of the kaiju into question, as it is rather unlikely that so many organizations would be able to field such creatures, but months pass with no solid leads. Speaking of time, let’s back up to THE WAR. Those of you who dabble in Japanese history will probably be aware that Japan groups years into eras based on the reigns on the imperial throne (I believe we are currently in Heisei 27). 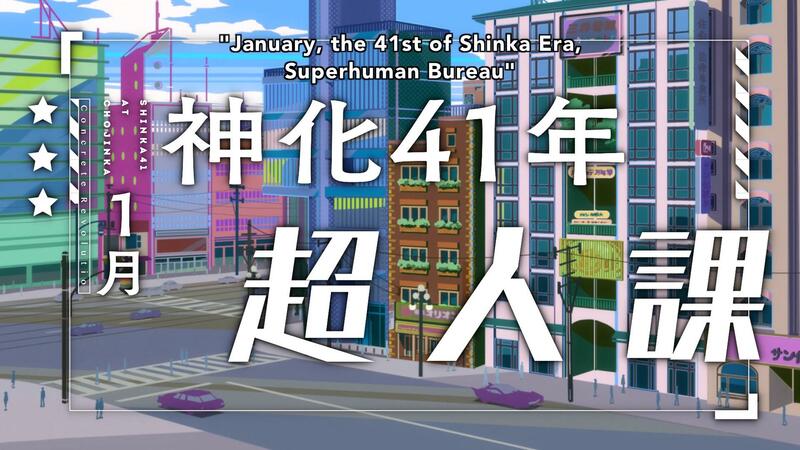 The beginning of this episode features a pair of brief scenes that take place in year 17 of the show’s fictional Shinka era, significantly pre-dating the main plot, which begins in Shinka 41. 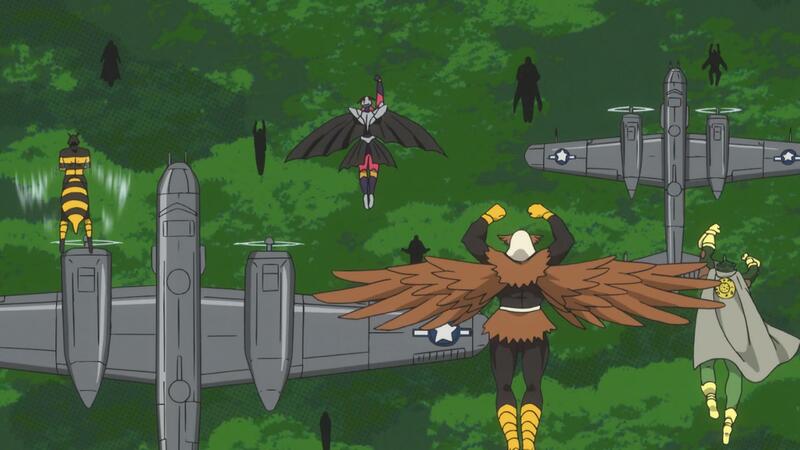 Since the events in Shinka 17 involve U.S. military activity in the Pacific, I now have no doubt that Shinka is a direct stand-in for the actual Showa period – Showa 1 was 1926, thus Showa 17 was 1942, right after the curtain opened on World War II’s pacific theater. Actual World War II was never this awesome, though this does raise more than a few questions. This puts the current plot in 1966, or rather ’67, as of this episode’s brief time-skip (good eye, Dan). And what the current plot is finally up to is beginning to set up the schism between Jiro and the Superhuman Bureau that’s been hinted at in the first three episodes’ future scenes. I have renewed confidence that this whole non-chronological exercise is going to pay off, and I look forward to seeing how many other concepts get back-referenced. Hopefully we’ll get to see who this Master Ultima guy is, why he went to Mars, and why it’s significant that he’s back, and I look forward to seeing how the show portrays World War II with superhumans and the Cold War with kaiju. Part two of Japan ‘Beast’ History can’t come soon enough.